A report says that Amazon has seen success with the HQ1-adjacent store, and more stores could soon be opening in Seattle and Los Angeles. Amazon's new no-checkout convenience store has seen some early success, and more locations like it will soon be opening. Recode is reporting that Amazon is planning six more Amazon Go locations, some of which are likely to be in Seattle. The report says "Amazon has identified three locations" for additional Go stores here in Amazon's (current) home city. At least one other location would be in Los Angeles, the report said, potentially within outdoor shopping center The Grove. No other cities were cited in the report. 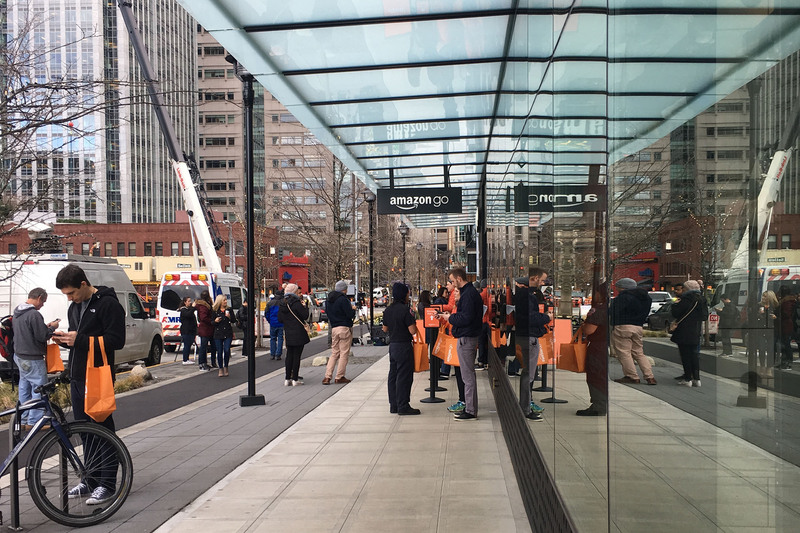 Our sister publication, Seattle magazine, visited Amazon Go's first location on the day it opened, and found a surprising number of local products on the automated shelves. Read about it here.